The 2019 Jaguar I-PACE is a truly innovative luxury car, and the auto industry is taking notice! The stunning new I-PACE has been recently earned two amazing awards announced at the prestigious Chicago Auto Show. They include MotorWeek’s Drivers’ Choice Award in the Best Luxury Category and overall Best of the Year! Auto industry experts at MotorWeek honor the best vehicle models, yearly, in a variety of categories that are important to consumers. Vehicles are evaluated over a wide range of classifications from family sedan to luxury car, and sport utility vehicle to full-size trucks. Winners are selected based on important factors including driving performance, technology, practicality, fuel efficiency, and overall value. This is an incredible honor for Jaguar as it enters the growing electric vehicle market, with the innovative new 2019 Jaguar I-PACE! The ingenious 2019 Jaguar I-PACE features Jaguar-designed electric motors on the front and rear axles powered by a strong 90kWh battery. This amazing technology delivers owners a range of up to 234 miles on a single charge while delivering incredible acceleration, propelling you from 0 to 60 in as little as 4.5 seconds. The new I-PACE is also the first Jaguar to offer the new intuitive Jaguar InControl Touch Pro Duo infotainment system. This amazing new system features two convenient touchscreens on the center console. The whole system is designed to reduce driver distraction using sensors and convenient rotary controls to operate popular functions. This amazing new innovation reflects Jaguar’s commitment to offering customers a safer and enjoyable automobile! 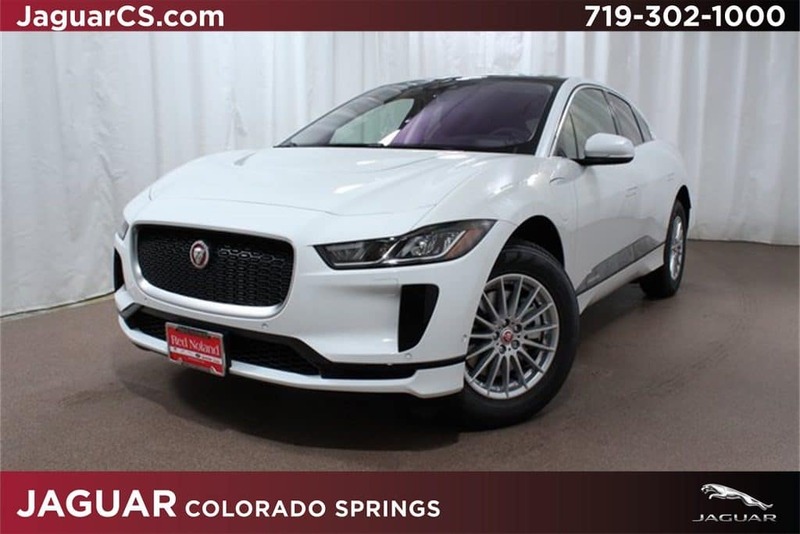 Jaguar Colorado Springs has recently received one of these environmentally-friendly, luxury 2019 Jaguar I-PACE automobiles in our inventory. It features navigation and a convenient all-wheel drive powertrain. Contact our sales experts at Jaguar Colorado Springs for more information on this award winner today!